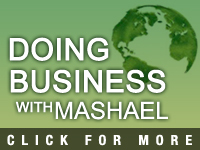 Mashael Petroleum welcomes the opportunity to work with other organisations and enjoy our achievements together. No matter if your firm is small or large, local or international, we are interested to hear from you. As a group that is continually growing and evolving, we are always on the look out for high quality suppliers, contractors, investors, technical partners and clients. Mashael Petroleum takes pride in our commitment to conduct our businesses in a professional, responsible and ethical manner. We expect our partners to share the same values and aspirations. In order for us to get to know you better, kindly download the following form. As per our policy, it is essential that the form be completed and submitted for evaluation before we establish a commercial relationship with new organisations. It has come to our attention that various fraudulent individuals and organisations have used the name of Mashael Petroleum and the identities of our senior management as part of their scam. These scammers may also claim to be our agents and representatives. Occasionally, they may even present documents purportedly issued by Mashael Petroleum. Their aim is to solicit commitments or fees from unsuspecting victims. In order to protect the integrity of our business, Mashael Petroleum authorises a very small and selected group of individuals to discuss and negotiate on its behalf. We do not allow our agents or representatives the authority to negotiate, make any offers or provide commitments. Should you suspect that you are dealing with these scammers or unauthorised individuals, we strongly urge you to exercise caution and to contact our Headquarters via telephone, fax or email for clarification.